We’re delighted to return to the beautiful Dalmahoy Hotel in Edinburgh for a more compact version of the Convention this year. We know how precious your time is, so we have reformatted the event into one, full day. Now you can keep up-to-date with all the latest industry products and network at The Scottish Painting & Decorating Show, which kicks off at 9.30am until 4pm. Then join us in celebrating the best of Contract, Project and Training Awards at the Scottish Decorating Industry Awards & Dinner Dance Formal Dinner Dance from 7pm. The room must be cleared by 17.00 to allow set up for the SDF Dinner Dance. 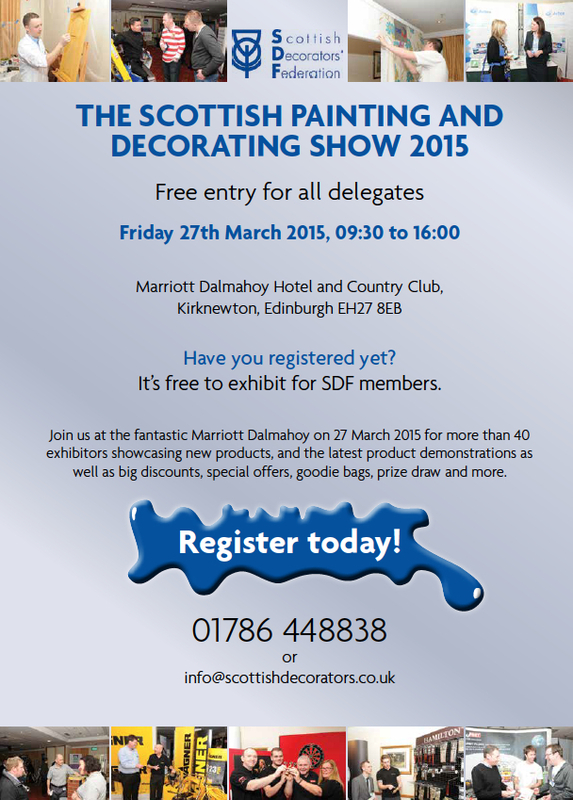 Please contact Derek Clark, SDF’s Immediate Past President, to organise product delivery on 07850 295845.